This has definitely been one of the most trying years I’ve had in all my 7 years of teaching. I felt like a failure in about 75% of what I did this past year. I also watched myself commit several teaching misdemeanors and knew deep in my heart for a majority of my actions that I should be doing something different, but I continued to convince myself that what I was doing was somehow necessary. To go back to my parent analogy, what I did was equivalent to spanking. I told myself before I had children that I would never spank because I had experienced it as a child and it scarred my relationship with my parents. However, there have been moments where I spanked my daughter and knew it was the wrong thing to do but I always invented a reason why it had to be done–most of the time my actions were reactive stemming from extreme frustration, maybe even a place of anger and most definitely feeling pressed for time. The same goes for my reactions to my students. I was extremely frustrated and more than once angry. Also, I was overwhelmed trying to complete a mountain of tasks. So I resorted to lecturing (on video or in person), or assigning books I knew my students couldn’t read simply because I had lots of resources on the book and then assigned chapter quizzes hoping to cattle prod my students into reading by dangling carrot grades or I continued with a certain unit even though it was clear my students were not understanding. I graded based on behavior and spent very little time giving constructive feedback. I assigned busy work and worksheets just to catch my breath. I went home at the end of the day rather than stay to contact parents and update them on student progress and I became lax in my documentation (a worksheet is evidence isn’t it?). I ended the school year extremely exhausted, stressed and positive that had lost my will to teach. None of this was the fault of my students and yet, they were punished. I was not angry with them but with a system that has such unrealistic expectations for teachers. No, I did not spank my students, but they also did not get the best teacher I know that I can be. They did not receive the exemplary education they deserve and they did not receive the attention they needed. Now, I am not the worst teacher in the world, but I also know better and am capable of BEING better. My students will go on and hopefully have a better teacher next year. I’m also sure other teachers have similar stories and that many have gone on to do wonderful things. We live, we learn. It’s time for a Year of Magical Thinking, time to repurpose myself and recollect my dreams. It’s time to put my own mastery to the forefront and approach the year with an abundance of positivity. I’m taking my summer to relax and enjoy my family. I’ve purchased some professional books that have reinvigorated my thinking and I’m ready for a fall of new possibilities. I will not make lofty goals for the new year as I do not know what to expect but I will continue to hope for the best. When I was little, I often donned the role of “Teacher” which really meant bossing my sister around and making her color workbooks. In my eye, teachers were authorities you did not question. They had power to change your life for better or worse. This power was wielded over me many times in college as professors determined whether or not I was worthy of their profession. When I became a teacher, I have to admit, this power was intoxicating. At first, I struggled with wanting to be liked and at the same time staying in control, which lead to frequent power struggles and inconsistency. They didn’t know who I was and I didn’t know who I wanted to be. Now seven years later, I began this year feeling like I knew who I wanted to be as a teacher. I wanted to prove once and for all that this was the profession of my calling. I wanted to flip my classroom and become an expert at integrating technology. At the same time, I wanted to prove that I could finally do it all. I wanted to be the super teacher of the year. However, looking back at this year, I’ve found that one thing still remains the same. It turns out, I still want very much to be liked and I have a hard time giving up control. Haven’t I learned anything these past 7 years?! I will say this, I may not have written much on this blog, but at least it has been honest reflection that will hopefully help me grow as an educator. It is this reflection that has allowed me to fix at least one thing: I now know who I want to be as a teacher and I won’t get any better with the mentality that I have to be “the best”. The tough part is making the change. CHANGE #1: END THE PAPER TRAIL– I don’t like passing out worksheets, but I find myself doing it often with one class. I ask myself why I do this, and the truth is, I don’t know how to teach this particular group. When I observed other teachers, they had students who dutifully filled out worksheets as well (as a fellow Twitter posted “A digital worksheet, is still a worksheet”). These classrooms were so organized with students who behaved so wonderfully. So I followed, and it worked. My students behaved, they dutifully filled out worksheets, and I believed that they were actually learning. But recently their work stopped making any sense. They have become automatons who are able to go from activity to activity, completing tasks, but they aren’t making connections. They know how to fill in a 4-square graphic organizer but they fill it with information that is still superficial and shows lack of understanding the topic. Or an activity that they do in ASL becomes a complete failure when trying to transfer the same skills to English. I do notice a big change when assignments are more authentic or when I’m able to give them explicit 1:1 time. I need to find work that is more meaningful at the same time something students can do independently while I work 1:1 with others. So, Change #1: less paper and more 1:1 feedback (writing/reading conferences). CHANGE #2: ADJUST MY DEFINITION OF ASSESSMENT– I enjoy having students work on projects. I believe that students retain information better when they are able to apply what they learned to something they’ve made. However, with high-stakes testing becoming more and more obtrusive, I worry that these project-based assessments do not translate well to paper/pencil tests. So, I have continued to give test-simulated multiple choice assessments that include prompted written responses. However, doing so is only confirming my fears. Students are not doing well on these paper/pencil tests. I’ve always assumed I was good at getting students to think critically about a topic; however, when it comes time to take a test, students are still failing. What am I doing wrong? I believe that my tests and projects don’t assess the same things. A project is a demonstration of what a student is capable of doing with the information they’ve learned. 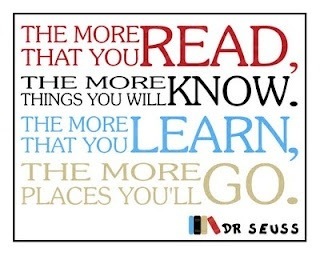 A test is a demonstration of what the student is able to remember. I need to take a more comprehensive look at my assessments. I need to do a better job of identifying the skills my students need to retain once the project has ended and reassess those skills ongoing. I need to make it clear to my students as well, what standards they are meeting and on what scale. So, change #2: stop grading multiple-choice tests and instead make sure my students are able to CONTINUOUSLY apply skills in an authentic and meaningful way. CHANGE #3: GIVE STANDARDS BASED GRADING A TRY. This is going to be the toughest change of all for me. However, I believe in it wholeheartedly. The concept is that a teacher should be able to identify a set of priority standards that students MUST meet by the end of the year (I don’t mean the TEKS or even IEP goals, but instead a teacher recognizing skills that students MUST have before they can move ahead in the general curriculum). These standards would then be assessed throughout the year and students would be graded on how they are progressing with the standards. It sounds wonderful to be able to say exactly what the student is or is not able to do. It would provide more specific information to add to an IEP and help towards writing better goals/objectives. What makes this a tough change for me is deciding the standards as well as figuring out the grades. Ideally, a letter grade would not be assigned, but instead a meter of progress would be given. A student should not be penalized for needing additional time to meet projected goals. So, in a world that still wants to see letter grades, how do I introduced standards-based grading? What will it look like? I need to research this a bit more and talk with others who have made the change. Improving my teaching will require change #3: starting the year off with a clear set of manageable standards. I’m not sure I’ll be able to make all three changes this year and I definitely want to at least attempt to make these changes in the fall. The most important thing I must remember is that attempting to be “perfect” is going to send me to an early grave. I need to let go of “winning” and embrace my own failures. I don’t have to be a teacher of the year; I do need to be okay with being me. This blog was started, not to brag or “Showcase” my classroom, but to reflect on my teaching and hopefully improve. Based on this year’s outcomes, I’d say I have a lot to improve upon. I started the year wanting to become skilled with technology integration in the form of a flipped classroom. I can’t say it has been successful. At the same time, I can’t say that any other method would have been any better. What is my struggle this year? Why do I feel like such a failure in everything that I am trying to do? I’d say the biggest hindrance is not being able to connect with others in the same situation as me and not having a collaborative PLN. In the past, I’ve been able to bounce ideas off of others, find wonderful resources on the internet; I have been content with being a voiceless bystander who soaks in information by watching. First, many people in my school are resistant to trying the flipped model and I’m starting to understand why. With the advent of video and flipped learning comes a whole class of resources that I cannot use simply because they are not accessible. Flipped was supposed to be this revolutionary concept that makes learning accessible, but as a teacher who is deaf, I’m not able to access a large majority of dialogue or even shared lessons that are exchanged in flipping PLNs. This means I have to create a lot of content on my own which becomes very time-consuming. I joined discussion groups and even twitter chats. So what about bouncing ideas off of other flippers through Ning or Twitter? Just as before, I gleaned some wonderful information but nobody was interested in my questions or my struggles in the deaf ed classroom. Nobody seems to want to understand the challenges of accessibility for those who are disabled. It brings us right back to why IDEA was necessary. Children with disabilities, especially hearing or vision loss, always get pushed aside as “somebody else’s problem.” As long as the hearing community continues to put accessibility on the back burner, people with disabilities will continue to fall behind. Isn’t the entire point of the flipped model to provide accessibility to students? To give students access to resources they may not have at home? Something as simple as captions can open up an entire world to a student who is deaf or hard of hearing. 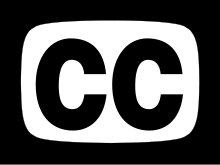 Caption It Yourself— this web resource provides some wonderful guidelines for captioning your own videos and gives a wide variety of links to web-based captioning tools. Many flippers already use Camtasia Studio which comes with a captioning tool.